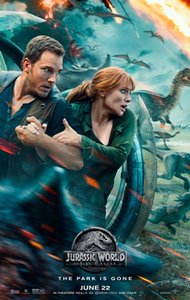 The Stratford Library’s “Monday Matinees” series continues with a screening of the hit thriller, Jurassic Park: Fallen Kingdom on November 19 at 12 p.m. The series, which presents recent, popular films monthly on Monday afternoons, is free and open to the public. Movies in the “Monday Matinees” series are shown uncut on widescreen in the Stratford Library’s Lovell Room.Next month’s film selection will be the blockbuster hit, “Oceans 8” on December 8. The complete list of fall film offerings is currently available at the Library.